STOP RIGHT HERE if you haven't read the first book, Siren, and don't want any spoilers!!! Nothing has been normal since Vanessa Sands learned that her sister was murdered by sirens - femme fetales of the watery depths - and everything she believed about her family was a lie. Simon had been Vanessa's constant source of comfort, but now he's back at college, and Vanessa finds herself with Parker. Doubting her relationship with Simon, unsure of Parker's intentions - and of her own toward him - and terrified by what she's learned about herself, Vanessa has never felt so alone. But personal problems must be put aside, because the sirens are back for revenge. Now, Vanessa must face her past and accept that she is every bit as alluring, and every bit as dangerous, as her enemies. 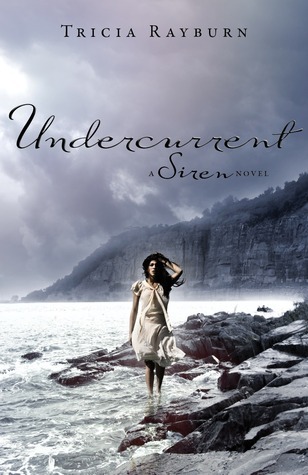 The eagerly anticipated second novel of the Siren Trilogy, Undercurrent is a sizzling paranormal romance that will leave you will chills. 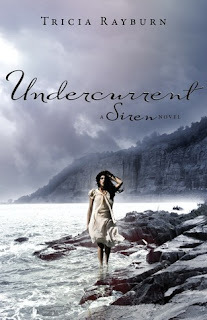 This is an excellent follow-up to Siren (which I reviewed here). I was a bit frustrated with the love triangle aspect, as usual, but other than that I was very happy with the angle Rayburn took with this second installment - digging up family secrets and generally creating chaos. It's a very frustrating read in the sense that it's pretty much just a lead-in to the last book in the trilogy, but it's compelling nonetheless. I highly recommend this series.